Mina009 commented on my bio, wondering how a cat could say "no" to having a dog in the house. To begin to understand that, you need to meet Rumblebuffin. 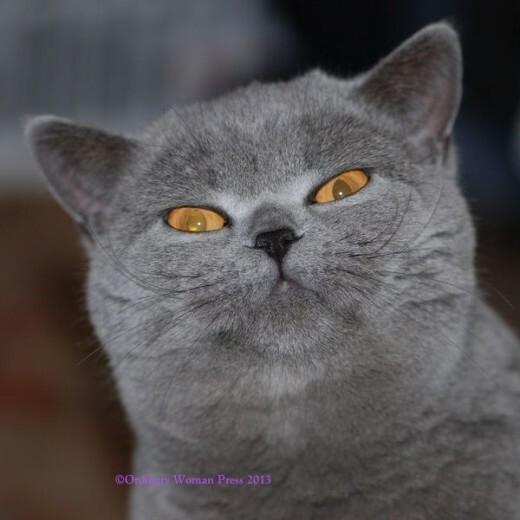 He's a British Shorthair cat, he's a dude, and he rocks it. Like most cats, he knows when he's onto a good thing. He has me wrapped around his paw. 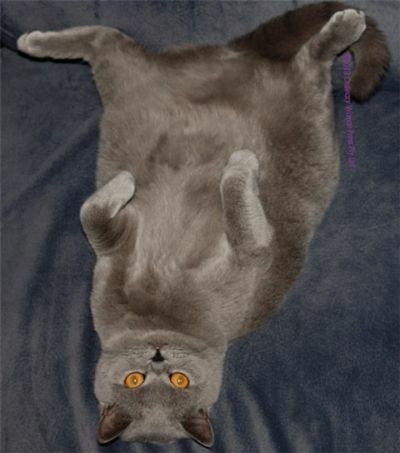 This is his cat's-eye worldview: the day to day life of a slightly spoilt, very cute British Shorthair cat. UPDATE: Rumblebuffin is now the face of My Cat's World on Facebook. All Images: Â© Frances: Ordinary Woman Press P/L He's cute, but please don't steal his photo. 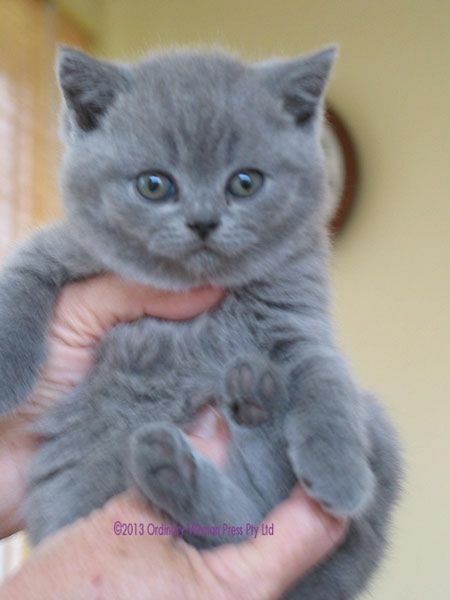 British Shorthair Kittens - They are the cutest kittens! When I was 6 weeks old, a bunch of peeps came to visit my family. I had two brothers but I was totally the boss of them. I liked the littlest visiting peep so I climbed up the side of my cage and yelled at him as loud as I could. He picked me up and I snuggled him. I liked him. I was roooolly cute then! I was totally color co-ordinated. 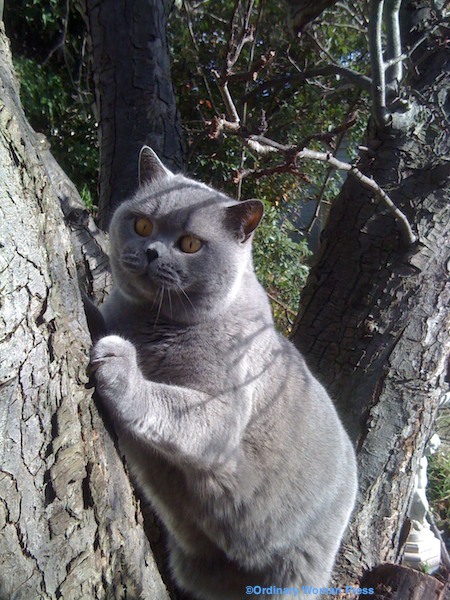 I had blue-grey eyes, blue-grey fur and purple-blue-grey toes. 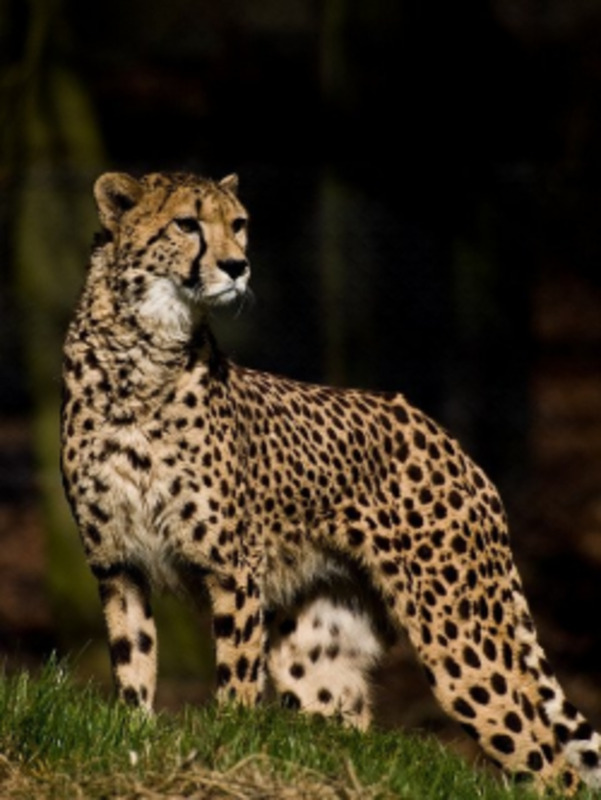 As a baby, I had soft dark stripes on my body and tail. But I wasn't allowed to stay with these new peeps until I was 12 weeks old. By then my mum had taught me proper good manners. I had learned to always say thank you after the peeps have given me my food, and never kneading peeps with my claws, never growling, hissing, scratching or biting, how to use my litter tray and how to keep myself clean. That's a lot to learn in only 12 weeks. I was very cozy in my kitten home. I had my family, and my granddaddy lived there as well as my uncle. 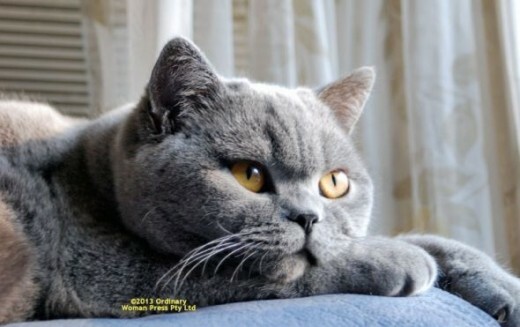 They were both champion British Shorthair cats and they had their own special private spaces away from us babies. But when I got to my new home, it was all so strange. 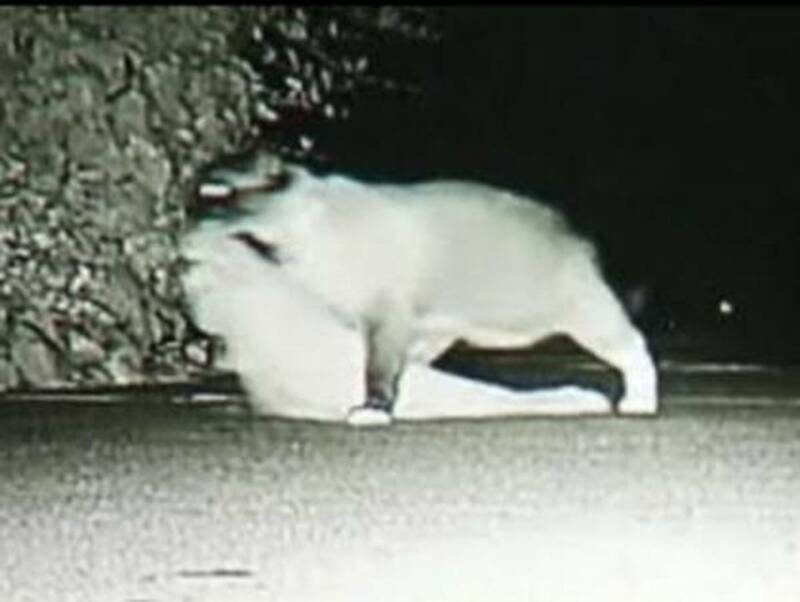 No one other cat. Just the peeps I had chosen all those weeks ago. I sat under the coffee table for a while, taking in all the smells. Then I came out and found the senior female peep. I squeaked at her and she picked me up and fed me! And not just any cat food, really nice stuff. This was the best discovery. My new peeps were already properly trained for me! Then I started to explore and quickly realised I had chosen a really good set of peeps to live with. There was stuff to enjoy and it was all for me. I had a scratching post all to myself! Can you imagine that? No more sharing a post with anyone else, no one else's smells on the post and I could sharpen my tiny kitten daggers whenever I wanted to! I could hide behind the pole and jump out at my peeps, then run away as fast as I could before they caught me. Plus it had a platform at the top. At first I was so small that I had to use my daggers to climb to the top and wriggle over the edge to sit on the platform. When I got a bit older, the pole got shorter and the platform got smaller. I don't know what devilry that was. But I didn't need to scramble up the post to reach the top. I just jump onto it. Now my scratching post sits by the back door and when I want to go out, I sit on it and wait. When I come inside after my turf patrol, I stop and scratch the bottom carpeted part. Then my senior female peep leans down and scratches my back with the fingernails. That feels so good that I keep scratching the carpeted base of my post until I fall over sideways, purring, and then she rubs my belly. 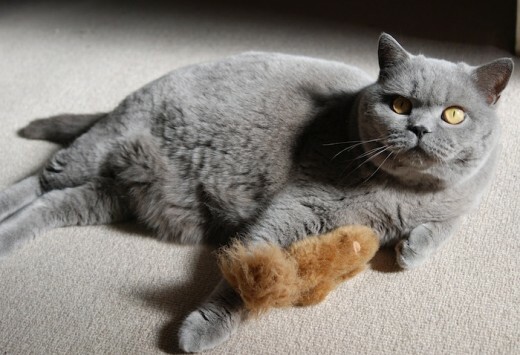 Here's me with Squirrel - after I killed him. Again. I deaded him good. Meet Squirrel and Froggy. My smelly catnip friends. My boss girl peep says to me "Where's Froggy?" and I have to look for him. Froggy smells so good, he makes me go a bit silly. When I say silly, I mean throwing him in the air, catching him, batting him around furniture then racing away from him. If he doesn't chase me, I run back with my tail flared out and attack him and kill him again!Note from the peeps: Froggy has a velcro opening in his tummy where you put a catnip sachet. He comes with one sachet, and additional sachets can be bought separately and kept in a plastic bag in the freezer until needed. The catnip is why Froggy is a favorite toy, so much so that he is presently MIA. If he's gone much longer, we'll need a fundraising effort for a search party. Or a new Froggy. Squirrel! I've been told dogs like squirrels. Dogs are dumb. They don't understand that peeps are meant to look after us, not the other way around. I mean really, how dumb can a species be? Except where my squirrel is concerned. My squirrel smells like Froggy and he makes me feel like doing silly things too. But he's bigger than Froggy. I can carry Froggy around in my mouth but my peeps like to put Squirrel on my back. Then I walk around until he falls off. He doesn't have proper grippy paws, you see, so he has to balance and he's not very good at that. Froggy is a bit longer than a mouse but Squirrel is bigger and I can grab him, hold him to my chest and kick him with my back legs. That makes him smell really strong and it makes my head go kind of woozy......Note from the peeps: Squirrel has the same kind of velcro tummy pouch for the catnip sachets. Woozy Rumblebuffin is too funny for words! 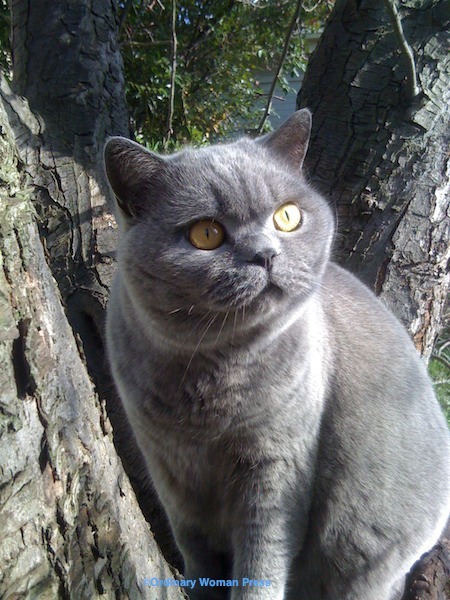 What is it like to live with a British Shorthair? I am told I am a very placid cat. I am quite happy living indoors, and happy living without other pets. I love to know what my peeps are doing so sometimes I follow them around the house and watch them. When I want attention, I make sure I get it. I just go to that person and sit on them. it doesn't matter what they are doing, I simply require attention. Usually this involves making someone rub my tummy. When I first came to live here, I used to sit behind the boss girl when she was in the kitchen and she kept tripping on me so I learned to stay the exact length of one of her steps away from her feet. See? I'm clever too. I like to sit with my peeps. Sometimes I want lap time, sometimes I just want to sit beside them on the couch, and sometimes I just like to sit at their feet and wait for them to walk somewhere. I am an indoor cat, but I am allowed to have little adventures out in the back garden and that's when I check out all the smells. I never go out when it rains. I don't know why my boss girl peep lets rain happen. It's wet. I don't like wet. I don't like cold weather either but I love the sunshine. When It is sunny I sit up on the garden table in the warm sunbeams and let my peeps brush me. That is luxury! I'm a teddy bear that purrs. As a breed, we are very cool cats. 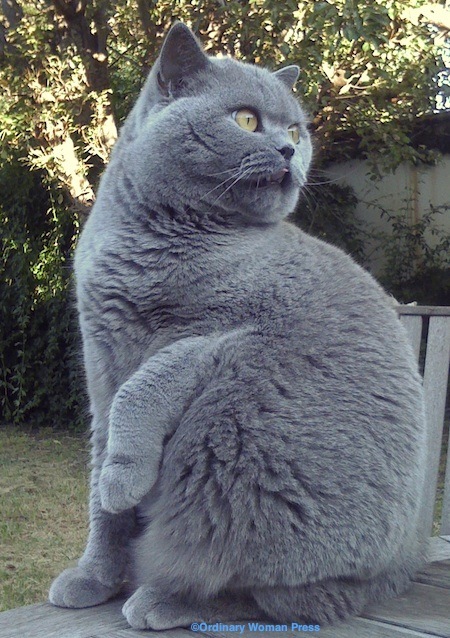 Our breed used to be called British Blue, because our thick plush coats had to be a blue-grey but now we come in a variety of colours. I am powerfully built with a broad chest, and a perfect round head with plump cheeks and big round copper-gold eyes. 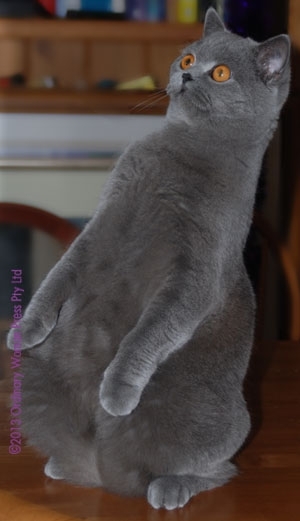 Some people mistake us for Russian Blues, but Russians have slim faces and long legs. I have strong stout legs and a shorter, fluffier tail than a Russian Blue. When people come to visit, as long as my peeps are okay with them, they're fine with me. I don't hide away or avoid visitors, after all, these new peeps are in my house. I check them out for interesting smells, and then leave them alone. Or they can worship me, which is better still. A lot of people who visit start off by saying they don't like cats, but I soon win them over. I am good at taking things in my stride. That's good because sometimes strange things do happen. This is what I do when something really gets my attention. After I had been living with my new peeps for a while, something strange happened. They got really busy and kept coming into the house with bags of stuff. Bags. Big crinkly paper bags. I love bags! 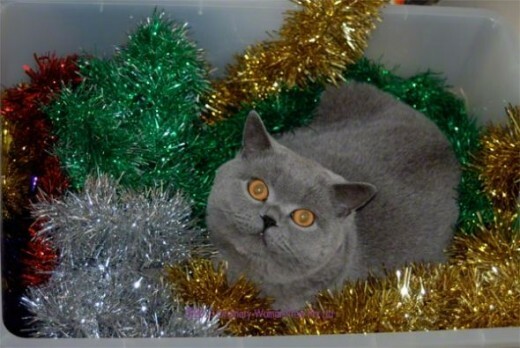 Then the tinsel came out. I don't know where they were hiding this stuff, but it makes an awesome bed! 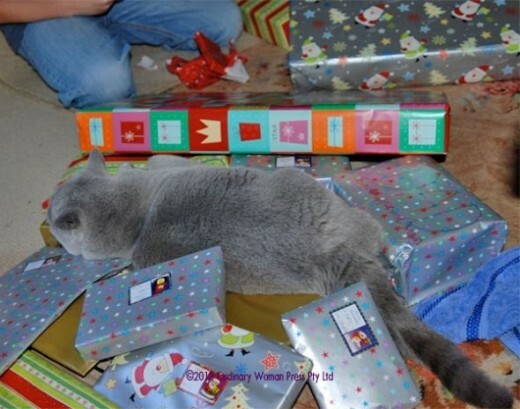 A little while after the tinsel came out, there was a day when they all got stuff and there was lots of paper to crinkle and boxes to sit in. The peeps were very excited. I made sure I was in the middle of it all. And RIBBONS! I love RIBBONS! And turkey! I have to let you in on a secret: Turkey is gooood! 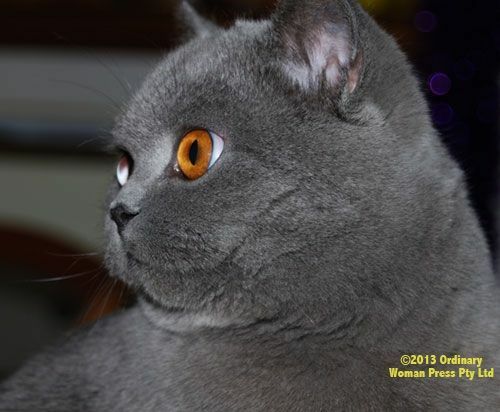 Try one of these books for good breed-specific information to help you understand your cat. Going outside - As I got older, I was allowed outside into the garden. It's not bad, not bad at all. Me and my tree. 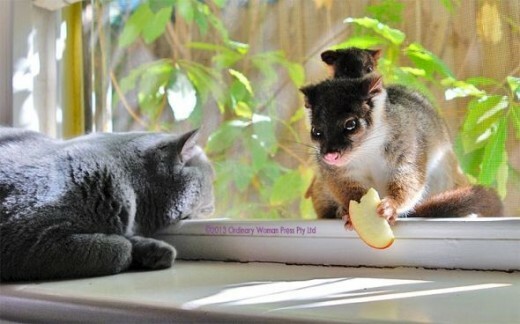 I share it with possums. 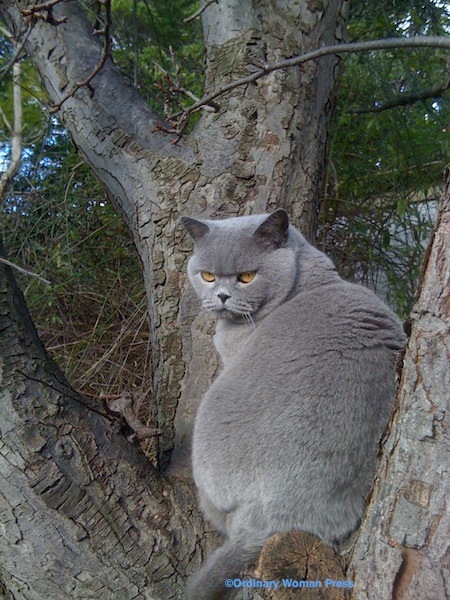 Hmm, should I go back inside and check my foodbowl? Posing. Sometimes I do that just to show off. Sometimes other animals come to visit me. This is always interesting. I like other furry animals. This ring-tailed possum kept visiting me, and when she had her baby she brought it to visit too. I sit on the window ledge and purr at her while she eats apple slices. For the record, I like dogs. My little peep has a friend who brings his dog to visit me. But I don't want to live with one in my house. I have some standards! 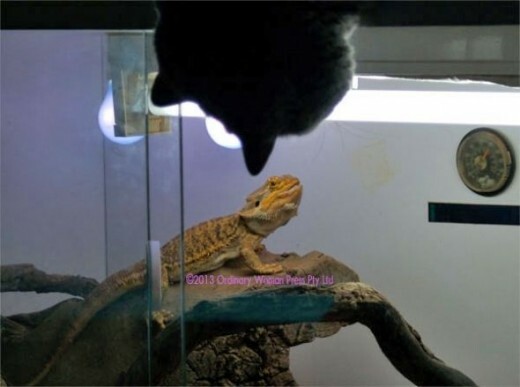 I am not so sure about reptiles. They smell funny, they move funny and they don't have fur. What's up with that? But the boxes they live in are nice and warm to lie on. Are you a cat person? - Well? Or have you had a different kind of pet? What kind? Which of these pets appeals to you? Before you go, say hello! 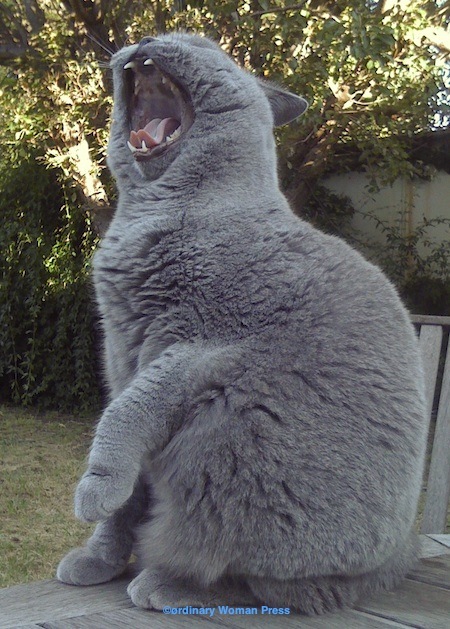 I would love to have one of these cats own me. But I can't afford to buy one. 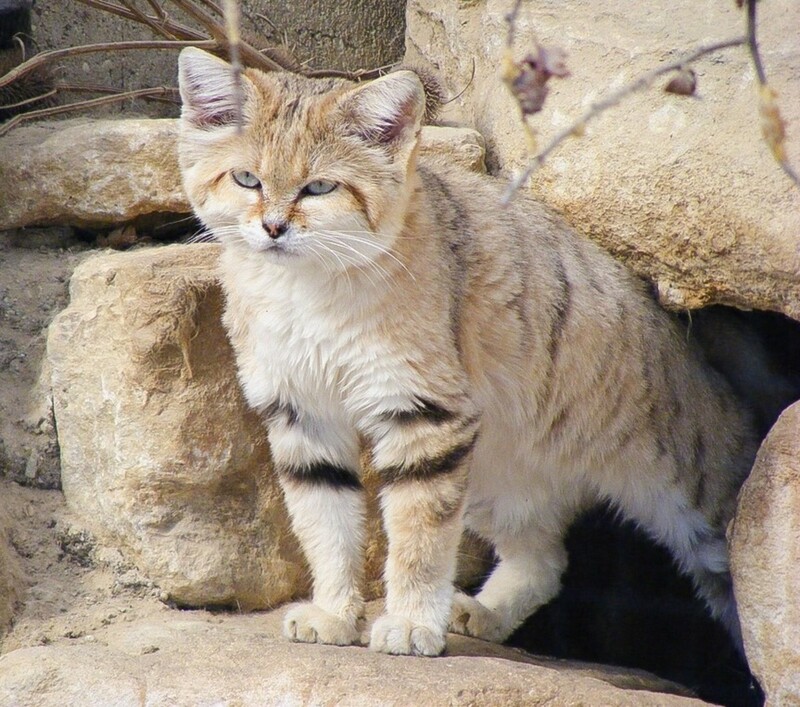 The article is amazing which gives a real insight to these lovely cats. @CampingmanNW: Thanks campingman :) 19 is a great innings and it's heartwarming to hear of an old cat that still plays like a kitten. I always enjoy reading about someone's pet. I too have an older cat. He is a long haired grey cat with every bit as much personality as your Rumblebuffin. My cat is nearing 19 years old but still thinks he is a kitten at times. Thanks for a really nice lens. Gorgeous creatures! Shots are great! @FrancesWrites: Awww, nothing yet, well Rumblebuffin is a Purple Star in my book! Please give him a few more tummy rubs and a cuddle! @Elsie Hagley: Hi Elsie, the possum isn't a pet, we found her tucked in that window one morning during a heat wave, and we arranged some shade for her. She kept coming back, and Rumblebuffin loved to sit in the window and purr at her. Eventually, she brought her baby to visit, which entranced Rumblebuffin. I love all animals, but my cats got spoil the most when I had them. I love that photo of the possum with it baby at the window. Is it a pet one? As in New Zealand you would never see a possum in the day time doing that, amazing. 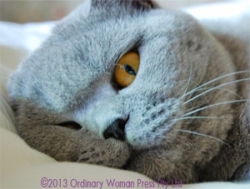 Thanks for sharing all those photos with us, what beautiful kittens they are, can't help but love that cute face. .... and between tummy rubs, let Rumblebuffin know I have sent in his lens for Purple Star consideration! @Scott A McCray: He admits he has a typist ;) He refuses to confirm or deny whether a ghostwriter is involved. Well, your story is adorable! It does look like a noteworthy breed with a deep velvet coat. 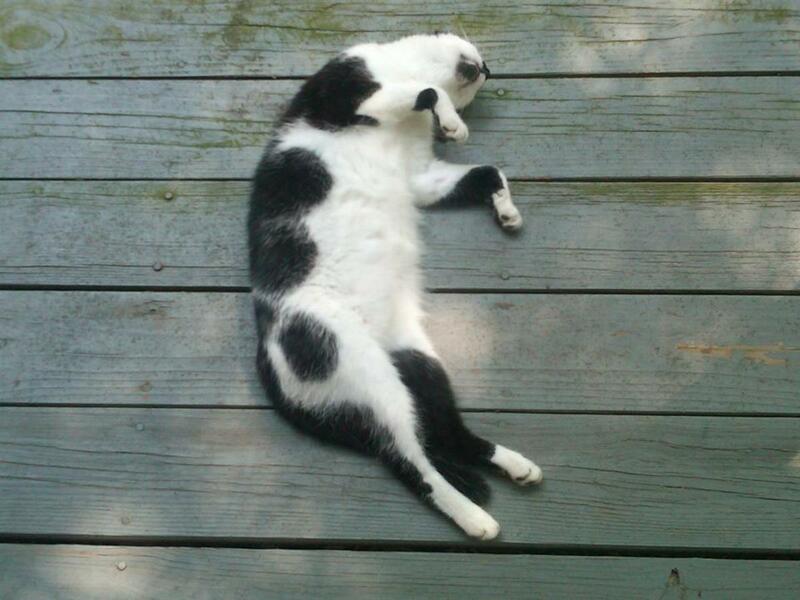 My personal preference is outdoor cats, but it would be fun to visit yours. Olivia Felini and I really enjoyed this lens. Olivia is especially pleased that this cat has such a wonderful home. She thinks that's important. Thank you for publishing this beautiful lens. Olivia sends you a friendly Meow. 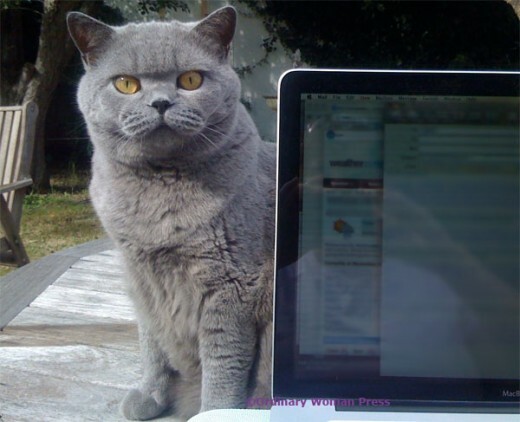 A very talented cat - are you sure he didn't have a ghost-writer? ;-) My cats rated this lens 5 Purrs. This pictures are amazing! Thank you so much for sharing! 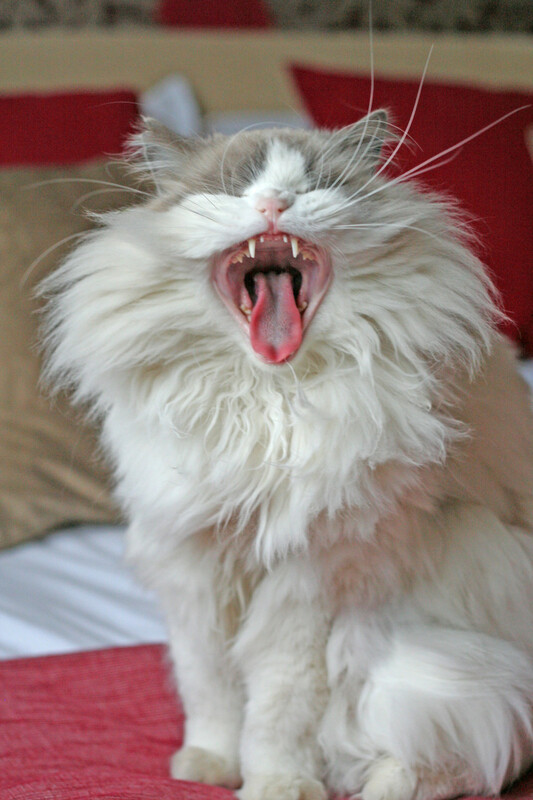 These are such great photos of your cats, they are lovely. Love the pics and the name. Oh my, what a darling cat! There used to be one of these that hung around our Deercreek home - and then one day it was gone. Reminded me of a teddy bear. Would love to own one! I'm more of a dog person to be honest but you've certainly 'sold' this particular cat. Those eyes! Really lovely lens which I enjoyed very much. 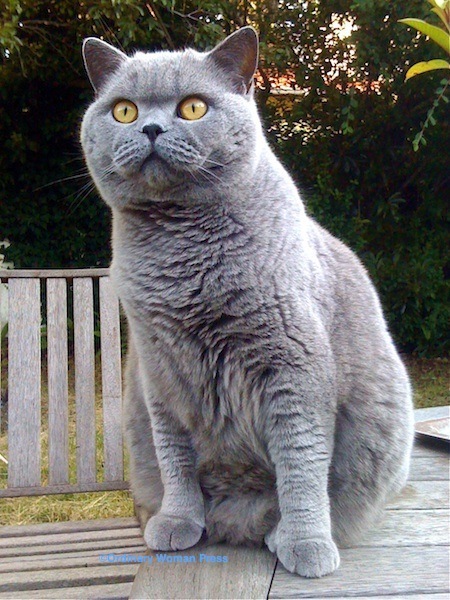 When my husband first mentioned he wanted a British Shorthair, I honestly couldn't see the appeal. 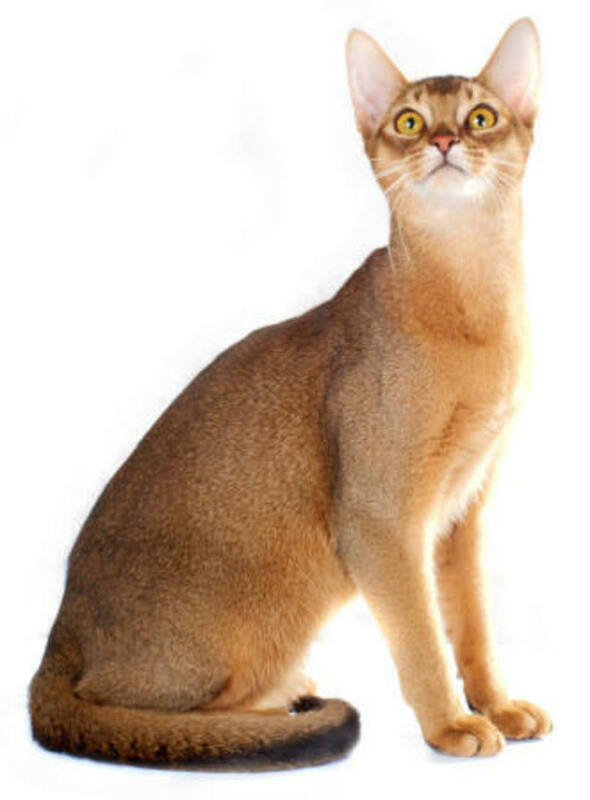 My tastes tended toward the sleek-looking Siamese/Oriental breeds. But having shared my home with three British boys now (we refer to them as our teddy bears, too), I can't image life without one! 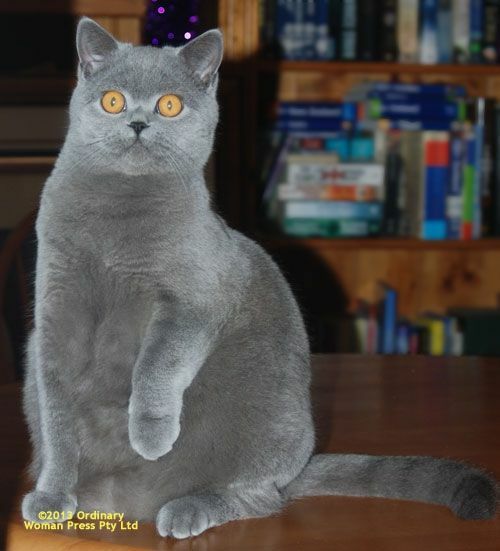 I've enjoyed reading Rumblebuffin's story - what an amazing cat! @cmadden: Thank you cmadden :) Your quartet are such characters! Your cats fur looks as soft as a babies blanket. So pretty. Callie, Shadow, Odan, and Sylvester offer greetings and felicitations to Rumblebuffin - oh, and me, too! What a beauty! Very cool cat, and absolutely beautiful. Give tummy rubs for me. My cats Esther, Zoe and Raja approve too. The possum is fantastic- do they really do that? That's crazy! What a great kitty lens. Happy cat! @gracyelala: I'll tell him you said so :) Thanks for stopping by and commenting! Lovely lens, lovely cat! In the photo with the tummy rubs he looks really active, I also love doing those kind of tummy rubs, they are my favorite:) Rumblebuffin and Frances you both rock!! @CheapMakeupSnob: Thanks for posting CheapMakeupSnob. He's sitting at my feet purring as I type this! 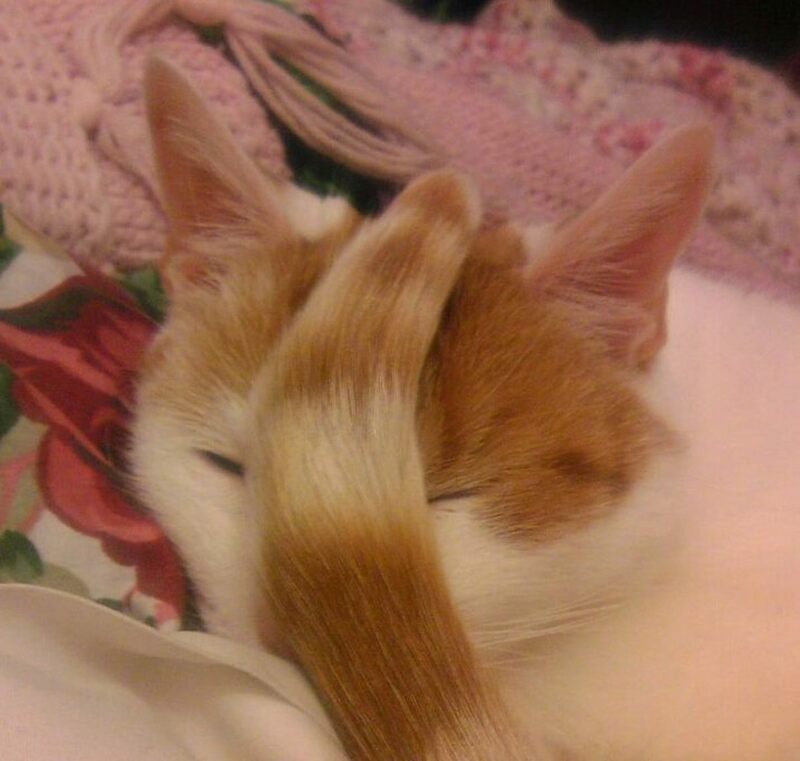 Such a cute cat - He's adorable! A teddy bear that purrs hahaha These cats are so cute!! If I didn't have severe allergies to pets, especially cats...I would have me one of these little cuties! Loved the writing style. @Erin Mellor: And he knows it! No, it's a fur-free zone because of allergies, but you have one impossibly cute cat there.